The Stuhrling Original Men’s 168S. 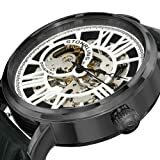 33551 Classic Automatic Skeleton Round Black IP Watch Set is a dressy and sophisticated timepiece with a revealing presentation. 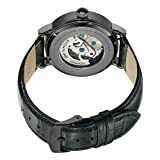 Featuring an analog skeleton dial, black-toned round case and a black calfskin band, this watch is a sure-fire way to make a polished impression. This set also comes with an interchangeable leather strap. 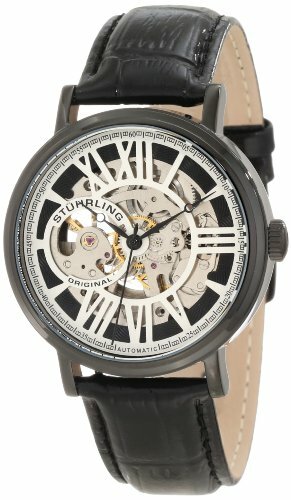 Stuhrling Original watches are covered by an international two year warranty against any manufacturing defect. Please refer to the complete Stuhrling warranty for additional details and stipulations.